A Sunrise exclusive …The Highlands of Scotland, though lightly settled, still offer many stretches of semi-wild, spectacular waterways- offering perspectives of a rich cultural heritage from a riverine viewpoint. The romantic beauty of the Scottish Highlands is experienced via mild whitewater rivers, such as the Spey, Orchy, and Tay, passing the Cairngorm Mountains, and travelling through Glencoe and majestic, historic Loch Ness and Awe. Inn to inn river touring with accommodations in some of the region’s finest hotels and classic Highland inns. Trip features riverside visits to Castle Kilchurn; and some of the Highland’s renowned single malt whiskey distilleries. 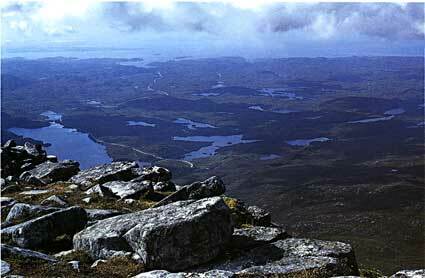 Other highlights include paddling to the sea, paddling across the remote Rannoch Moor, and the opportunity to enjoy several of the Highland’s most picturesque small towns and villages. 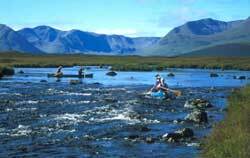 Trip is organized in association with one of Scotland’s leading canoe instruction and guide outfits. Includes 8 hotel nights in the Highlands, plus the final evening’s hotel in historic Edinburgh. Trip meets Glasgow day of arrival for transfer to Highlands. $800 deposit required. Single supplement $490. 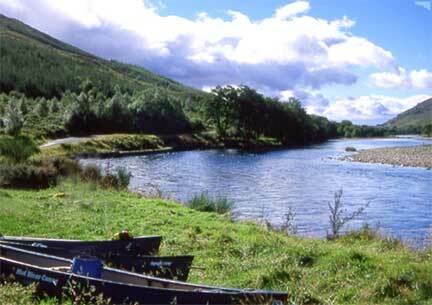 The River Spey is the classic Scottish river descent - offering perspectives of the rich cultural and historical heritage of the Highlands within the context of a superb canoeing experience. The trip starts in Loch Insh, where any necessary skills coaching occur before the river journey to the sea. Flowing through semi-wild, old growth forests, with spectacular views of the Cairngorm Mountains as a backdrop, the river builds in volume in speed - though the rapids never exceed more than Class II+. Passing many of the renowned Speyside single malt whisky distilleries, and several picturesque highland villages enroute, the trip culminates in fantastic views of the open sea - often one gets the opportunity to paddle alongside seals and dolphins in the bay. 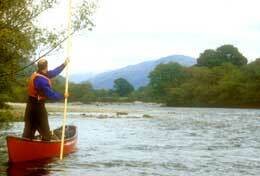 Sunrise operates in association with Scotland’s leading canoe instruction and guide outfits. Trip meets in Glasgow (includes all land transfers); and also includes first and last night’s bed & breakfast accommodations in Newtownmore and Aberfeldy. $500 deposit required. Single supplement $125. Canoe from the west coast of Scotland to the east coast . . 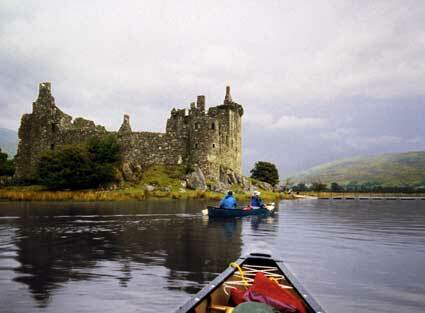 Experience the romantic heritage of the Scottish Highlands via canoe-voyaging a historic waterborne route. The trip starts just outside Fort William on the sheltered waters of the Caledonian Canal, which links together a series of lochs including famous Loch Ness, roughly following the Highland Boundary Fault. Run easy Class I-II whitewater by opting to paddle stretches of River Oich and River Ness, in lieu of the canal . . and even sailing rafted canoes through the lochs - wind conditions permitting. Top calibre technical canoe instruction always available. The last evening is spent in the picturesque highlands town of Aberfeldy. Trip meets in Glasgow (includes all land transfers); and also includes first and last night’s bed & breakfast accommodations in Fort Williams and Aberfeldy.